iPhone 3G S debuts across U.S.
A year ago the arrival of two trucks laden with new iPhones to Softbank’s Tokyo flagship store would have drawn cheers and claps from the line of people waiting to purchase the phones. Fast forward one year later and the arrival of boxes of iPhone 3GS handsets on Thursday morning ahead of the Friday launch was witnessed by a single person waiting in line and a sole reporter. Taisuke Fujimoto snapped pictures for his blog as the boxes were unloaded a few minutes after he arrived at 9:45 a.m. Fujimoto had been waiting when the store opened its doors, but was told by staff that organizers handling the launch were yet to turn up so there was no official place to queue. The iPhone has been on sale in Japan for just under a year and Softbank, Apple's partner carrier here, is having to work much harder to generate the same type of buzz that the phone received when it hit shelves in July 2008. Last year, people queued overnight, or in the case of some die-hard fans for several days and nights, to be among the first to get the phone. The original iPhone never went on sale in Japan because its GSM (Global System for Mobile Communications) base was incompatible with Japanese networks, so the iPhone 3G launch marked the first time the Apple handset was available in Japan. This year, Softbank began accepting reservations for the phone last week and that generated a queue in front of the same store. People with and without reservations will be able to pick up the iPhone 3GS from 7 a.m. on Friday morning—some three hours before the store typically opens. “I got a reservation last week but I can't wait to get the phone so I thought I would come today,” Fujimoto said. 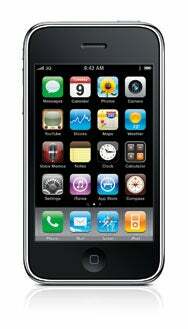 For the Tokyo student, a keen Apple user, the iPhone will be his first as he didn’t buy the iPhone 3G. After last year’s high-profile launch, Softbank struggled to get the same type of user adoption that’s been seen in other countries. For many Japanese users who already have advanced cell phones the iPhone is missing key features. Two of the most requested were television and emoticons for e-mail, both of which Softbank began offering users last year. TV is provided by an add-on TV tuner. The iPhone 3GS will bring video to the phone—the feature that swung Fujimoto to buy an iPhone, he said—and MMS messaging. Another reason that excitement might be lower is that many of the most enthusiastic potential iPhone users already have them and are tied to 2-year contracts that make upgrading an expensive proposition. As in other countries, some are making the switch but others are deciding to stick with their current phones until they have been paid-off. On Friday morning, the iPhone 3GS will go on sale at 7 a.m. at a number of places. These include the Apple Store in Tokyo's Ginza, Softbank’s flagship store in the Omotesando district and several major electronics retailers around Tokyo. Softbank is planning a special event near its store from 10 p.m. to 1 a.m. on Thursday night at which people will speak about the iPhone and give tips on its use. To help create buzz for the launch Softbank has invited several hundred bloggers to the event.